Hello SixPrizes readers! I am Jimmy Pendarvis, and I am back from Portland after winning my second Masters Regional Championships! It truly means a lot to me because it was one of my main goals of the season, and I put a ton of effort in for the event. I ended up playing Seismitoad-EX/Zoroark-GX after somewhat of a crazy week of testing Zoroark-GX/Garbodor and Drampa-GX/Garbodor, one of which I was sure I would end up playing. I had just finished testing Zoroark-GX control for the day with Isaiah, and then I had somewhat of a realization that the deck might just be better with the inclusion of multiple Seimsitoad-EX. My group and I kinda just took that thought and ran with it, constantly talking about the deck and playing with it until Saturday morning. Some of us were more confident in the deck than others, and Isaiah ended up going with his favorite deck, a more classic Zoroark control. Despite feeling somewhat risky in the moment, the deck ended up being a great call for the event, and I felt very comfortable with pretty much all of my potential matchups. Without further ado, let’s take a look at my Portland Regional Championship experience. This is the main attacker of the deck without a doubt. While it doesn’t do too much damage, boosting a maximum of forty damage per turn, the Item lock it brings to the table is absolutely brutal. The goal of the deck is usually to control the game and run the opponent out of resources, so the low damage output is a non-issue. Additionally, you may have noticed the low number of outs to getting this beast in the active position. While using Quaking Punch as soon as possible remains the goal of the deck, you don’t mind waiting a turn or two while you develop your board and remove the opponent’s energy. This is the best Zorua in the Expanded format and it really is not even close. The only other Zorua that I considered playing was the BW Zorua that has the “Lunge” attack, but it is really only useful against Night March. This deck has all sorts of counters to Night March, most noticeably the inclusion of Karen, so playing the four paralysis Zorua is the way to go. This is a card that came in and out of the deck before we settled on the final sixty cards, but I am super glad that it ultimately made the final cut. While I certainly didn’t need to use this Oranguru in every game, it was the key to beating mill decks and Drampa-GX/Garbodor. Without Oranguru, these matchups would have been much more complicated and likely unfavored. Against mill decks, you can simply use Resource Management every single turn to never deck out or run out of important resources. While this is going on, you can use Team Rocket’s Handiwork to discard cards from the opponent’s deck. This makes these mill matchups a piece of cake, and I was able to defeat both mill decks that I played against in Portland. Additionally, Oranguru functions similarly against Drampa-GX/Garbodor. You no longer care about using Team Rocket’s Handiwork every turn, and would prefer to use things like Plumeria or Colress, but do want to manage your energy and trainers with Resource Management. This is undoubted the card I have gotten the most questions about. Yes, Tirtouga, Archen, and Lileep all do the exact same thing and a difference between them hardly exists. Yes, you can use Twist Mountain to get out Archen, which technically makes it the best choice, but I am willing to hedge my bets against that ever being a relevant situation. With that being said, I am absolutely on team Tirtouga. The card’s actual purpose is to not deck out. Once drawing the entirety of your deck, you can constantly leave the turtle as your last card in deck after discarding it with Trade or Plumeria. While in some matchups this is risky, where they might be able to discard your last card with Team Rocket’s Handiwork or Trubbish, it is a very nice asset in others. I would recommend avoiding the Tirtouga loop all together if you are able to avoid the risk and still win the game. This is probably the glue of the deck. Without these Lusamines, the deck would eventually run out of resources and likely just crumble at the end of the game. You can quite literally infinitely loop this Lusamine combo, grabbing another Lusamine and one other Supporter/Stadium. This makes it very easy to outlast the opponent, and is likely the most unfair part of the deck. This was almost entirely a Night March counter, which is not a deck I ran into this weekend. A few members of the squad did though, and I am sure Karen made their day a whole lot easier. Karen in combination with Quaking Punch just destroys the Night March and Vespiquen decks. They can hardly mount a response to even the first Karen, and you can do it multiple times, repeatedly. These are the energy denial Supporters that the deck plays, and Plumeria is insanely important in the deck. Being able to remove an energy every single turn at little to no cost due to Exeggcute/Tirtouga is an incredibly powerful effect. 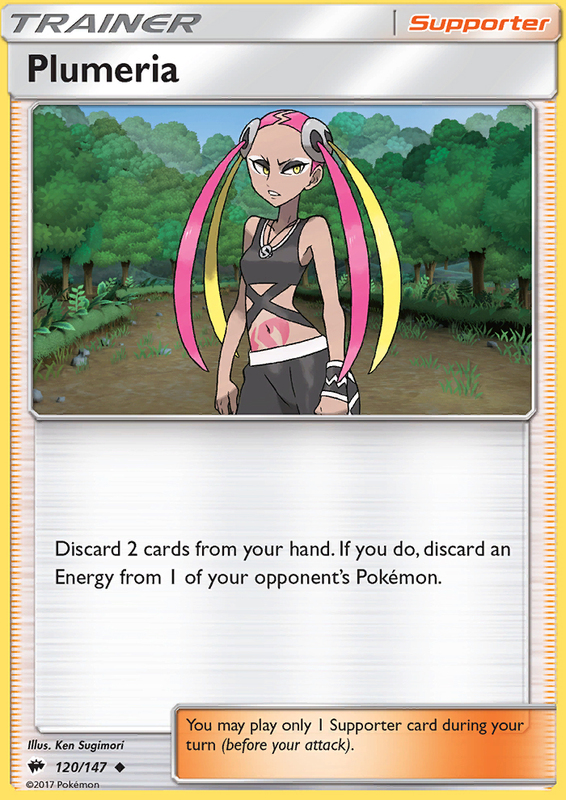 Since you can get back Plumeria an infinite number of times, you will almost always be able to run your opponent out of energy before they take six prize cards. Brigette was the setup card of last year, no doubt about it. It has continued to see play in expanded too, and that is no exception here. It is usually the best turn one supporter, and gives you a ton of options. 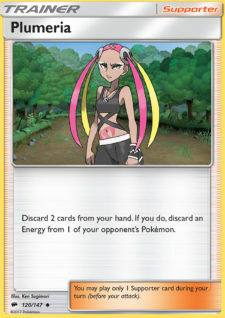 If Brigette is so good, then why did Pokémon Fan Club make it into the deck? That is a great question! Pokémon Fan Club does not allow you to make as strong of a board as Brigette, but it is better in situations where you want to get a Seismitoad-EX, Tapu Lele-GX, or Exeggcute. This was another important piece of the deck! Incredibly strong for denying the opponent prize cards and keeping your Pokémon at full health. Acerola makes it very difficult for the opponent to take all six prize cards due to the high health of your Pokémon, not to mention all of the other disruption you are throwing at them throughout the game. If the opponent does not OHKO your 220 HP Seismitoad-EX, you can just Acerola it, put it back down, and continue to attack. You can do this a ton of times throughout a game due to VS Seeker and Lusamine. This is a great card for finishing games, it is essentially just another win condition. It is especially strong against opposing mill decks, where your goal is to just use Resource Management every single turn and deck your opponent out. Additionally, Team Rocket’s Handiwork can be used as a way of discarding important resources, such as Guzma or an energy card. Gladion is a really nice inclusion in the deck because of all the singleton copies of cards in this deck. Additionally, Gladion can actually be the key to getting off an early Quaking Punch! If you prize a Double Colorless Energy, or even Float Stone in some cases, you can use Gladion to grab what you need to start attacking with Seismitoad right away. These are the draw Supporters of the deck. I used Colress a ton throughout the weekend, and Professor Sycamore and N were both used pretty frequently too. I would say they usually aren’t used many times each game, unlike other decks that aim to use a draw supporter every single turn. With this deck, once you have a board established, you aim to use a utility supporter every single turn to help run your opponent out of resources. Zoroark will draw you a ton of cards every turn, and will eventually allow you to have your entire deck in your hand. This is not even a slight exaggeration, I often had 20+ cards in my hand. This was a great inclusion in the deck, super happy we thought of it and found space. While the additional damage is not something you care about, and can sometimes be detrimental, the forty extra health that the Belt provides is incredibly important. Against decks that aim to OHKO you, they are going to have a very hard time doing so under trainer lock, to a Pokémon that has 220 HP. Against decks that will spend multiple turns attempting to OHKO your Seismitoad-EX, you will be able to use Rough Seas, Fighting Fury Belt, and Acerola to deny your opponent prizes. Despite being a very strong inclusion in the deck, you need to be careful about slamming this onto a Seismitoad-EX. Like I said, the extra damage can be detrimental when trapping something active. These are the Stadium cards of the deck, and while they might seem somewhat odd, they were honestly the perfect duo. Parallel City is great for limiting the opponent’s options, as they can’t use Field Blower to get rid of it due to Quaking Punch. Speaking of Quaking Punch, Parallel City makes your Seismitoad-EX do twenty less damage. Terrible, right? Nope! That is actually great for the objective of the deck. You can simply trap something active for many turns while you use Quaking Punch and your disruption supporters. Rough Seas is great for keeping Seismitoad-EX alive, it is particularly strong against Buzzwole and Trevenant decks. These are five cards that I think have a lot of potential in the standard format! They are in no particular order, but I do have somewhat of a love for Ditto. Ditto ♢ – This is my favorite card in the set! I also think it might be the best overall card in the set, easily being one of the most splash able techs in recent history. Not only can it be searched out and benched as a way of leaving your options open, but it brings other value to the table too. The Ditto being on the bench can allow you to evolve into a tech Pokémon without your opponent even knowing that it is coming. Additionally, this Ditto is another amazing basic to find on turn one, which is great for decks playing a Lillie engine that can make use of this card. Zebstrika – This card reminds me of Claydol from Great Encounters! It certainly isn’t quite as powerful, but they are comparable in the sense that they are both poor attackers with amazing, reusable draw power built in. This is definitely a card that will see play in faster decks, but I am not sure how easy this will be to include in a format that offers minimal recovery. Discarding something like a Double Colorless Energy or a Guzma is normally a terrible idea, so Zebstrika will likely end up being good in one or two decks that don’t mind the discarding. Blacephalon-GX – Perhaps the most hyped card in the set! This card has been getting a lot of attention and that is for good reason. Blacephalon-GX/Naganadel seems to be the way to go in early speculation, and the deck reminds me a lot of the Magnezone/Eelektrik deck that saw play back in 2011. It has a lot of room for consistency and energy cards, which is something the deck is going to be jam packed with. I could see consistency issues hurting the deck, so my first goal with Lost Thunder is going to be making a consistent Blacephalon deck. With that being said, Blacephalon-GX/Naganadel is the upcoming archetype that I have the most faith in. Alolan Ninetales-GX – I am really curious to see how this card shapes up. The Ability is very strong and brings a lot of consistency to the table, which is the aspect of the card that I like the most. The attack leaves more to be desired though, as a 70/30 snipe for two energy isn’t exactly something to write home about. Additionally, it does have a very situational GX attack. Being able to smite down an Ultra Beast is going to be fantastic against some decks, but useless against others. That being said, this card is also getting a ton of hype and has gotten quite expensive during the preorder phase of Lost Thunder sales. Electripower – This card is absolutely incredible, and I hope to find a strong partner for it. While Tapu Koko isn’t exactly known for being a powerhouse attacker, the addition of Electripower would allow Koko to clean up threats on its own. Previously, Tapu Koko needed a secondary attacker to come in and finish the job. Before Lost Thunder came out, the best decks were pretty clear. I am going to go through a few of the best decks of the last format and talk about how they are affected by the release of the new cards. Psychic Malamar – This deck is without a doubt going to be a top contender in the new format. The deck gains some options in Giratina and Spell Tag, and none of the new cards are especially strong against it. It is extremely consistent and was labeled the BDIF of the last format, what could go wrong? Zoroark-GX/Lycanroc – This is one of the decks I am more up in the air about. While some of the other decks are seemingly easy to predict the success of, Zororoc has kinda always been in it’s own class. The deck seems to go through phases of being positioned well in the meta, and the new format could give it a shot at doing just that. It is a very consistent and aggressive deck, so it does always have that going for it. However, it might not lineup well with the rest of the meta. Despite Blacephalon being somewhat reliant on Naganadel to continue attacking, it does have Beast Ring and other options for getting energy into play. Additionally, Zoroark will have to deal with baby Buzz/Shrine and Buzzwole/Lycanroc-GX. Baby Buzzwole/Shrine of Punishments – Honestly, this deck is not powerful whatsoever on its own. It is pretty dependent on getting played in a meta that is ideal for it, which is essentially just a bunch of decks that are reliant on GX and/or trainer cards. We will just have to wait and see how decks end up being built in the early stages of the format, but I would have to say that I expect this deck to die down a bit moving forward. Rayquaza-GX/Vikavolt – I am very happy to report that I believe Rayquaza-GX/Vikavolt is no longer a top tier deck. Sorry to the Rayauaza fans at home, but I was just never a fan of this deck, and I am relieved to believe that its days are numbered. I do not like this deck because it seems very draw dependent, with little room to outplay the opponent. As the opponent, losing to a turn two Vikavolt is never fun, and I welcome the idea of some different decks taking over the meta. Now, onto why I believe this deck will fall out of the meta. First of all, before the release of Lost Thunder, things were already getting pretty sketchy for Rayquaza. Chimecho and other anti Rayquaza-GX techs were making their way into decks, Shrine of Punishments forced you to play a watered down list, and Lycanroc was a hassle to deal with sometimes. With the addition of Lost Thunder, even more threats have brought to the table. Alolan Ninetales-GX is one of the most blatant issues for Rayquaza-GX, as it will effortlessly OHKO Rayquaza-GX every single time. Blacephalon-GX could cause problems as well, as it may just me a more reliable OHKO deck, similar to why Malamar was favored against Vikavolt even before Chimecho. Buzzwole/Lycanroc-GX – This deck is one that didn’t see much success until Michael Bergerac and Kyle Lesniewicz reached top four of the Memphis Regional Championships last month. After their performances, the deck has grown in popularity quite a bit. I think the deck just wasn’t getting enough effort put into it, and these players finally cracked the code on a list that would work for the deck. It was super popular all of last year, and was personally my favorite deck to play with for most of the season. With that being said, I think the deck has a ton of staying power. Additionally, the list can be geared to handle whatever it has to beat, which is a super nice quality to have. As for the new cards, I would say the deck lines up pretty well with all of them. None of them particularly strike me as good against Buzzwole, and they tend to be slower concepts for the most part, which Buzzwole is generally good against. This is a deck that I plan to put a ton of testing into headed into Brazil. That is all for this article everyone! I was able to talk a bit about both formats, so hopefully you got something out of this regardless of what you are studying up on. The Seismitoad-EX/Zoroark-GX deck is one that I expect to see a ton of moving forward, so don’t just slap a Pokémon Ranger in your deck and call it a day! I assure you that doesn’t do as much as one might think. In the standard format, I am very excited to see how the new cards impact the metagame and the format. I was previously not a fan of standard format because of how the decks and cards interact with each other, but I am hopeful that change is upon us. New cards are usually a lot of fun, and I will definitely enjoy testing everything out in order to get ready for Brazil. My next major event, or maybe tournament at all, will be the Latin American International Championships in Brazil in two weeks! I am excited to attend for the third year in a row, and super proud of myself for earning a Travel Award to the event. Shortly after Brazil, I will be playing the standard format some more at the Virginia Regional Championships! If any of you will be attending any of these events, feel free to come up and say hi. 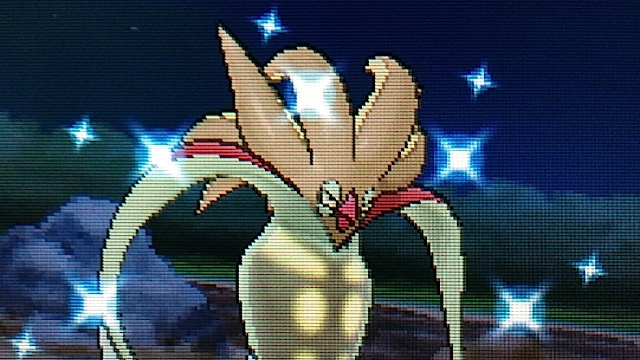 Otherwise, good luck in whatever Pokémon you might be playing! Peace.